East Texas Folk Festival Inc. 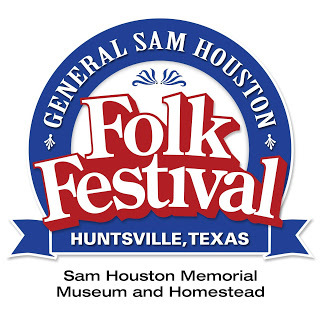 The General Sam Houston Folk Festival features historical characters in authentic costumes telling tales of Sam Houston and his friends. Demonstrations of pottery making, quilting, woodworking, weaving, candle making and more fill up the weekend's activities. Other events include heritage exhibits, civil war reenactments and tours of Sam Houston's home and offices. Live entertainment features a variety of ethnic and regional music, including Hispanic dance, German singers, fiddle, and acoustic musical acts. Music: Bluegrass, Cajun, Country Roots, Folk, Acoustic Blues, Cowboy, Old Time, Singer Songwriter, and Celtic.